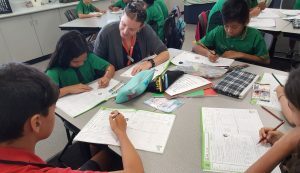 Opening in 1982, Karama School is located in Darwin’s northern suburbs and offers a dynamic, engaging educational and social-emotional program to its students. We cater for Preschool to Year 6 with a 0 to 4 years early learning centre. The schools four core values Respect, Responsibility, Resilience and Relationships, underpin all interactions between students, staff and the wider community as well as for as the whole school wellbeing and behaviour approach. At Karama School, we believe in a personal best-orientated learning environment. Karama School delivers numerous whole school programs that cater for a variety of learning styles and needs. A specific focus is placed on Literacy and Numeracy development with a supportive whole school intervention program to cater for students in need and to further support classes with more academically capable students. Reading is taught using the Guided and Reciprocal Reading approach. This is supported by our Early Childhood phonics program, Promoting Literacy Development (PLD) and the Soundwaves spelling program. 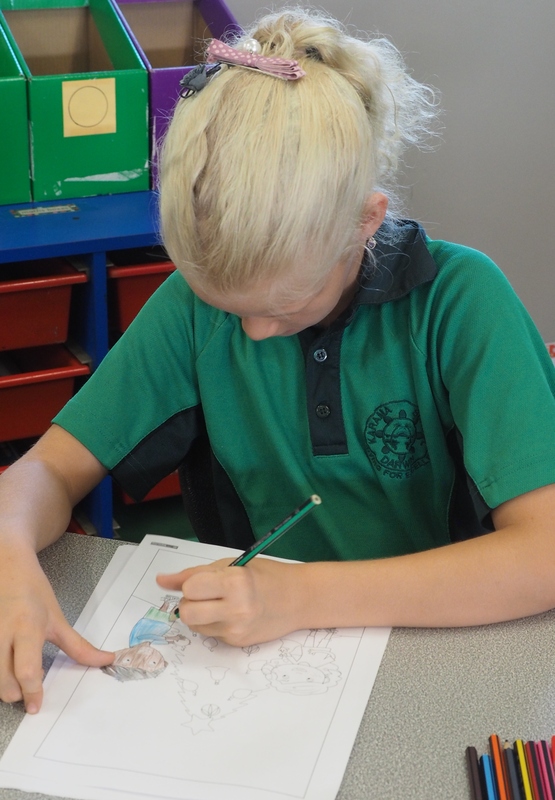 Numeracy is taught using the Meaningful Maths program across all year levels. The whole school approach to Oral Language is taught through the practical resource of “The Oral Language Book” created by Sheena Cameron and Louise Dempsey. Karama School strongly believes in a whole school approach to student and staff wellbeing. Karama School is working towards becoming a recognised KidsMatter school. KidsMatter Primary is a mental health and wellbeing framework for primary schools and is proven to make a positive difference to the lives of Australian children. We also participate in daily mindfulness using the Smiling Mind program every day after recess. Smiling Mind exists to help build individual mental health and well-being through positive, pre-emptive tools based on mindfulness meditation. The school operates an Engine Room where students are taught the skills and strategies for self- regulation. Karama School also offers a number of specialist learning opportunities that include music, cooking, gardening, wellbeing and community representative experiences to complement the school’s student ability levelled, tailored educational programs. We operate a Kitchen and Garden program which is attended by all students on a weekly basis, teaching them the skills from the garden to plate, planting, growing and using their own fresh produce. At Karama School we value the arts and this is promoted through our involvement in the BEAT Festival program, our partnership with the NT Music School and weekly music lessons provided to all classes by an experienced and highly skilled music teacher. Brat Pack provides after-school care for Karama families. Based at 17 Dalwood Crescent, Malak, Brat Pack picks up students from Karama School at 2:45pm. In partnership with The Smith Family, Karama School established and operates the Tata Family Centre. The Tata Family Centre caters for parents with children aged 0 to 4 years through twice weekly playgroup sessions, parenting programs and other community engagement activities.